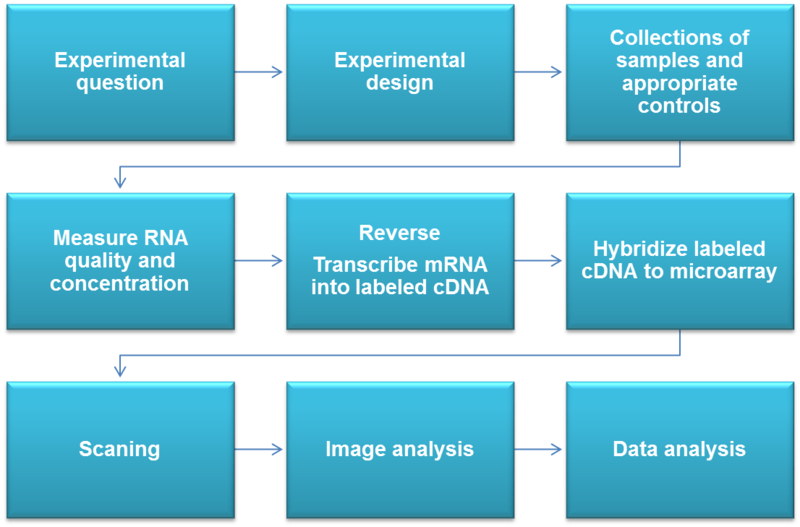 CD Genomics gene expression services utilise microarrays to deliver robust and reliable gene expression analysis for a variety of applications, including whole transcriptome studies, highly focused studies that concentrate on a few thousand transcripts, and alternatively spliced transcripts. Gene expression profiling microarray service is a technology that utilizes microarrays to analyze genome-wide profiling of gene expression. Equipped with some of the most powerful microarray platforms in this field, including Affymetrix, Illumina, Agilent, whatever platforms or arrays you choice, we can help! So, what you need to do is sending your sample to us, two-three weeks after receiving your total RNA samples, we send you original images of the array, raw data and fully analyzed data. CD Genomics can also help create your own custom gene expression microarray. We are ready to help you with your custom array needs, whether it’s a standard design or something more creative. For details, please feel free to contact us with any questions at any time by completing a no obligation quote request.